Eco-Polis, the name of the Master, summarizes the cultural, scientific and educational objective, to match economy and ecology with the city and the territory, the landscape and the environment with the communities that live in it. The strategic vision of Eco-Polis is oriented to provide the best tools to promote economic, social and spatial sustainability, that is ecologically oriented and democratically participated. The final objective is the empowering and the enabling the local communities at the government of processes, policies and projects, and for the correct assessment of the choices. This is the way in which the staff and teachers of Eco-Polis mean to express the movement towards the Smart City. 3. the Local Collaborative Development, that explores aspects of well-being, solidarity and sharing. We are convinced that both the cities and the regions of the future can be at the same time smart (smart and environmentally sustainable), creative (culturally advanced and able to respond innovatively to the present challenges) and collaborative (based on solidarity, shared experiences, projects and opportunities). Smart City is a recent definition and still in a process of clarification. The movement of cities, central and local governments, firms, technicians and citizens who are working, since the explosion of the ‘great crisis’ of 2008, on the objectives of Smart City, is growing worldwide. Smart City is and will be, during the next decade, one of the main objectives around the research of the sustainability and the quality of life. The United Nations predict, in fact, that 75% of the world population will live in cities by the end of the Century. The city is a set of systems (residential, manufacturing, mobility, communication, services and culture, environment, safety, health, energy) that requires a network of interactions, connections and exchange streams with mutual information within which the citizen must be an active protagonist. This is the main meaning of Smart City and is the reason why the notion of Smart City assumes a central relevance in efforts towards sustainability. If the city is not deeply re-organized in terms of sustainability, the quality of life will get worse for everyone. For these reasons Smart City is a huge challenge for public institutions, firms, universities and professionals, with relevant potentials for employment and jobs, all over the world. and for sustainable mobility systems. The city must become more inclusive, equitable, innovative, accessible, interactive and creative, because the Smart City needs Smart People. Italy is one of the countries where the most advanced culture of the city has been developed over the centuries. The Italian cities have been among the most creative places in the course of history. Today, this creativity has been tarnished, but the predisposition to creativity is still large and it represents an opportunity for sustainable development and to face the economic crisis. Over the past 30 years the Italian cities have promoted important cultural policies, predominantly oriented to the cultural consume (exhibitions, festivals, theater, music). In the last 15 years, the Italian cities have promoted, more than other countries, one of the most flourishing niche of creativity in the sector of the cultural events and cultural tourism: the urban festivals as a particular offer of cultural consumption, open to large segments of the population. Now is the time to invest more in capacity building and innovative skills for the field of cultural production. Influence significantly the levels of quality of life of the community. The creative city is thus conceived as the city in which to create the conditions for each citizen to expand his potential, developping "New Ideas that meet unmet needs". The Master course enhances this approach, deepening concepts and practices that facilitate the promotion of a "creative atmosphere". Before of the spreading of best practices in social innovation and in building relationships between the different actors (public entities, non-profit organizations, foundations, businesses, universities and research and training, groups of active citizenship, etc. ), it is very important to be able to consider and read the particular aspects of the local social contexts. The Master Eco Polis deepens local development issues and topics, based on factors and on relationships that have their strength within the specific site, within the specific community. The concept, which over the past 15 years has been an important paradigm to combine the size of the global and local, is now enhanced with new connotations linked to the birth and development of a more collaborative “society of ourselves”. The economic crisis, caused by the USA in 2008, has promoted a critical rethinking of the neo-liberal model. The raise of the knowledge economy, the revolution of the Web and the relevance of several social networks are revealing and multiplying practices and experiences of the production of goods and services from below. These experiences, through innovative and shared social actions, are facilitating the implementation of projects for the social innovation (i.e. co-working, creative hubs, groups for solidarity purchases, car sharing, self-construction and co-housing, open source systems, etc.). The experiences of 'collaborative cities', of the sharing economy, of the economy of communities, and of the cooperation, are considering 'the culture of the sharing' as a new category of action, that seems more effective in responding to the recent challenges. This module, in addition to the traditional references of local development, explores the most recent studies, approaches, practices and unconventional themes based on different paradigms (public welfare and happiness; common goods, solidarity economy). We, the staff of the Master Course Eco-Polis, we are convinced that sustainability cannot only be achieved through technological development and implementation of the so-called BATs (Best Available Technologies). Because, unlike some gurus of communication technologies, we believe that persuade people that technology will solve any complex problems, as well as the Climate Change or the scarcity of natural resources, is childish and irresponsible. Technologies are fundamental, but their implementation will not allow the victory in the long challenge towards sustainability, social equity, inclusion and quality of life. Technologies, without the use of creativity, culture, participation, sharing and solidarity, are sterile, or they may even be counterproductive, especially in a dominion as complex as the city. The urban creativity and the importance of cultural policies allow to imagine different formulas of urban cleverness, which are so crucial in terms of general sustainability, as much as for some specific areas such as Smart Grids for power distribution, or for the most sophisticated and technologically advanced public transport systems. The innovative forms of urban cleverness are interesting exclusively if accessible and fair for the largest number of citizens. The Master has the ambition to work on these dimensions and on these experiences. Because Ferrara is one of the Italian cities with the highest levels of quality of life, with one of the richest cultural offers and where the cultural tourism is steadily increasing. the success of festivals and exhibitions: Jewish Book Festival, Buskers Festival, International Festival, Balloon Festival, Ferrara Under the Stars. Because Ferrara is a university city with nearly 50% of students coming from other provinces of Italy and a growing number of foreign students. Because some practices for the sustainable development have been initiated since the early 90s and have also been recognized by the European Union as best practice. Because is the Italian city of bicycles and finally because it is the only UNESCO site of the world to boast two declarations. Because the Master Course Eco-Polis (Master Mapaus 2001 to 2007 and Master Megas in 1999-2000) is one of the oldest Italian international master courses dealing with sustainability at the international level. 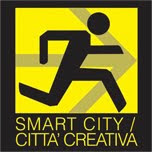 Finally, from 2013 on thanks to the results of the Project “Città della Cultura/Cultura della Città” that happened in 2012, the Master Eco-Polis 2013 begins to face on a dedicated way the themes of urban creativity and ephemeral cultural events as an urban regeneration, participation and contact with the citizenship and the promotion of creative initiatives and creative companies.